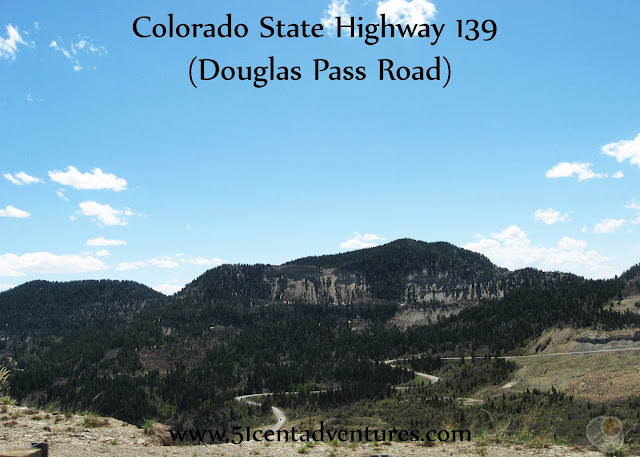 Description: On a map, Colorado State Highway 139 looks simple enough. It runs in nearly a straight line parallel to the western boarder of the state. However, straight is not a word to describe what this 70 mile road is really like. The road climbs to a height of 8000 through several switch-backs. Down hill grades of 7% are not uncommon. This simple looking road is full of adventure. Location: This road runs north-south along the very western boarder of Colorado and Utah. From the south you access it near the town of Loma off of I-70 and from the north you access the road near the town of Rangely off of highway 64. Operating Season: The road is open all year long; however, be aware that winter snow removal is not done at night. This was the third stop of the eighth day of the Southern Utah Road Trip that my husband and I went on for our third anniversary in May of 2010. We were on our way from Arches National Park near Moab, Utah to Dinosaur National Monument near Vernal, Utah. The quickest way to travel between the two cities was to travel into Colorado and then drive north on Highway 139. We'd already enjoyed interesting scenery while driving on the Upper Colorado River Scenic Byway (Utah-128) and we were curious to see what lay in store on this road. When I planned our route for our way home I didn't give much thought to Colorado State Highway 139. Our plan for travelling on this road was mostly just a means to an end. We wanted to visit Dinosaur National Monument, and driving north on this road was the quickest way to get there. I didn't expect there to be anything special about this road. And I'll admit, it took me a while to really appreciate the scenery as we drove on this road. After eight days in Southern Utah I was feeling pretty jaded when it came to looking at spectacular scenery. So I didn't bother to get my camera out as we passed by tall pine trees or switched back on steep hills. I just took it all in as just more scenery. It wasn't until after the road had climbed up the side of a mountain that I felt like I probably should be taking some pictures. 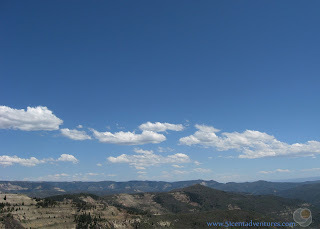 Here is the view from the top of the mountain. And here is the view looking back at the road. 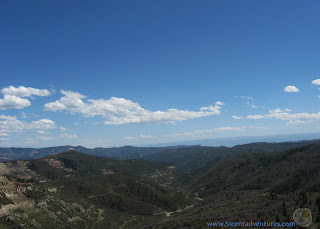 This is from an elevation of over 8000 feet. Unfortunately these two pictures were the only ones I took. I think I was hoping to take some pictures of more switch backs on the other side of the pass, but the road leveled out as we traveled north. The decent was much more gradual on the north side. As with many of the roads that we traveled on during our Southern Utah Road trip, this highway in Colorado turned out to be much more interesting than we expected. I certainly want to return here to see the scenery again - and I'll take more pictures next time. Recommendation: If you are looking for an interesting route to take you between I-70 and northwester Colorado then State Highway 139 will give you great scenery and a few thrills. Directions: State Highway 139 is pretty easy to find. From the south you access it off of I-70 at Exit 15. From the north you access it from Highway 64 in the town of Rangely. Places Nearby: I'm sure there are many interesting side trips that you can take from Highway 139. One thing I read about while I was researching this post is a fossil site along a road that branches off from the state highway. Colorado West Outdoors has detailed directions of how to find the site and collect your own fossils. The website also has many pictures of the drive on the road. I'll let you know June 2018 after we get back. Our roadtrip will take us from SLC > Vernal > Moab > Cortez/MesaVerde > Bluff Fort > Marble Canyon > Page/LakePowell > Kanab > Marysvale and home to SLC.